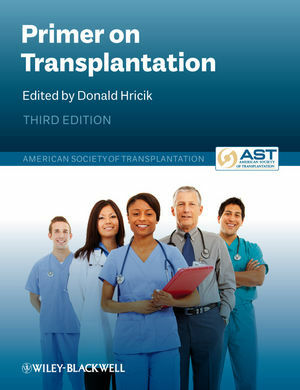 Produced in association with the American Society of Transplantation, this new edition is full of practical advice for the next generation of transplant professionals. Fully updated and redesigned to make it even more user-friendly, the book now contains clinical vignettes, key point boxes, and self-assessment multiple choice questions in each chapter. Primer on Transplantation, Third Edition is an invaluable resource for all health professionals in the transplant team including trainees, residents, fellows, physicians, surgeons, nurses and transplant co-ordinators. Donald Hricik; University Hospitals Case Medical Center, Division of Nephrology, Cleveland, USA.